May the 4th be with you. It is a time of hope in the galaxy as today is international Star Wars day. What does that mean for non-Star Wars super fans? It means your social feeds will be chockablock full of Star Wars things you probably won’t understand. 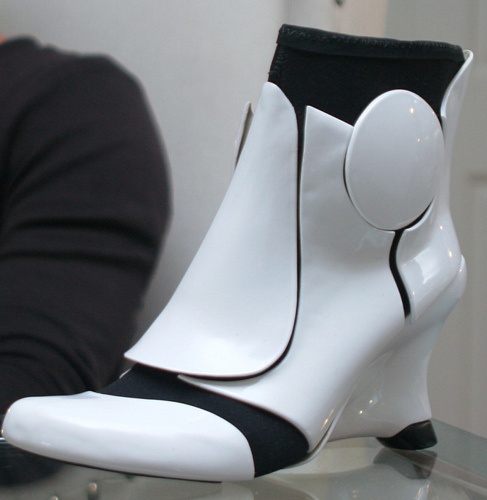 From Star Wars themed highheels to stormtroopers riding flying cats, get ready to be inundated with it all—including a thrilling trailer for the upcoming film The Force Awakens. That trailer was the talk of social media for days after it launched and has amassed over 47 million YouTube views in under three weeks. Here are three social media marketing lessons you can take from that trailer and apply to your own efforts online. Like the Game of Thrones series, Harry Potter and, yes, Star Wars, all of the best content takes time to come to life. Disney bought Lucasfilm in the fall of 2012 and everyone knew more Star Wars movies were coming. It took almost three years for that trailer to come out, because they knew how important the content was to fans. They wanted to get it right and that took time. The same goes for good content and great marketing campaigns. Though this is often hard to achieve, due to the real-time nature of social media, it’s in everyone’s best interest (your brand and your audience) to give ideas the time and space they truly deserve in order to come to fruition. Don’t rush things, don’t rush production and don’t rush design. Oversights are made when people are squeezed for time. If your campaigns are given a reasonable amount of time, they will turn out better and they will perform better. The Star Wars franchise is an incredibly strong brand. Like with Pixar, Nike, and Red Bull, you can instantly tell what brand you are looking at when it comes to Star Wars. From the logos, icons, and ads to more granular things like tone and voice, you always know what to expect. Many people felt Star Wars veered away from their brand with the Episodes I to III, movies that were not well accepted by fans. And yet, here they were, drowning in anticipation of this new trailer, and ready to dissect every scene of it the second it came out. Star Wars is such a powerful brand that they can get away with a flub here and there. This is a great lesson for brands in general. If you focus on building a strong brand, really put time and effort into creating a voice, a tone, an image that your followers enjoy and recognize, it will pay off tenfold over time. Your followers will become attached to that brand, they’ll await your new content with anticipation, and they’ll even forgive a few blunders along the way. This loyalty can’t be bought. It’s earned through a commitment to your brand. There’s a reason why Disney bought the Star Wars franchise – they knew that Star Wars was irreplaceable and that as a brand, they could use aspects of the Star Wars story over and over and over again. With social media marketing, the same rings true. If a story has performed well, figure out ways to repurpose the story or include it in new content. Similarly, if you find a certain format of content has high engagement like long form content, or bullet point lists, use this format again. Don’t worry about coming off as repetitive—there’s a reason the content performed well in the first place. Your fans will appreciate the consistency. Every week, we take a newsworthy topic and share relevant content and social media marketing lessons that can be drawn from seemingly unrelated subjects, such as playoff hockey beards or what we learned from Kraft dinner. Tune in next week for another surprise post.